Australian children enjoy a growing interest in sport participation, whether it’s footy, netball, basketball, cricket, or soccer. However, with this increase in participation comes an increase in risk of dental and orofacial injuries; including damage to the tooth nerve, fractured or knocked-out teeth, a broken jaw, damage to the tongue and cut lips. The result of the injury can negatively impact on the individual’s life outside of sports and can result in having expensive dental treatment over extended period to maintain the strength and health of the damaged teeth. Fortunately, these injuries are preventable with the use of a mouthguard. The Australian Dental Association strongly recommends wearing mouthguard during sports or activities that involve collision or where contact is likely (including during training sessions), as prevention is always better than the cure. At Dentist WA Canning Vale our mouthguards are custom-fitted to ensure maximum protection and are available in a selection of colours. A custom-fitted mouthguard also ensures proper ventilation and speech with a better fit than other varieties available over the counter as they are made to suit individual needs. Review the custom colour chart..
What’s Involved in Getting a Mouthguard? The first step is taking impressions of you or your child’s mouth to create a mouthguard with a customised fit. This simple process involves taking impressions of the upper jaw. They’re then sent to our local dental laboratory, where an experienced technician will custom-design your mouthguard. Over time, it may be necessary to replace the mouthguard, particularly as it becomes worn. To determine if you or your child requires a new one, please bring it to your bi-yearly checkup, and one of our dentists will inspect it for you. Our custom-fitted mouthguards provide superior protection. Mouthguards are made of highly durable material and fit snugly. Why is a mouthguard necessary? The Australian Dental Association (ADA) recommends that any person who engages in a sport that has a risk of facial contact wear a mouthguard. A sports mouthguard also helps absorb the shock experienced by a blow to the face. If the mouth isn’t shielded, a mouth or jaw injury can result. A severe collision can result in chipped or broken teeth, internal damage to a tooth, the loss of a tooth, or injuries to the soft tissue of the mouth. In serious cases, one could sustain a broken jaw or concussion. Injuries such as these can progress to lengthy and potentially expensive treatment to restore the teeth and the mouth back to normal function and appearance. Why not just get an over-the-counter mouthguard? The Australian Dental Association recommends custom-fitted mouthguards as being vital for the proper protection of your children’s teeth. A correctly fitted custom-made mouthguard shields your child’s teeth, gums and jaw. It allows them to breathe and speak more easily compared to wearing an over-the-counter mouthguard. It’s our experience that boil-and-bite mouthguards can put your child’s teeth at greater risk than not wearing a mouthguard. Such mouthguards also tend to be uncomfortable and may fit incorrectly. A poorly fitting mouthguard tends to move around the mouth rather than stay in the correct position. This movement can be dangerous in impact scenarios involving the head or face. These often occur in sports such as football when mouthguards are being worn. Our dentists use an impression of your child’s teeth to have a custom-fitted mouthguard made. Your dentist will be able to accurately evaluate your child’s mouth to provide the ideal size, coverage and thickness to offer excellent protection for your child, relative to their sport. Your dentist will evaluate your developing child’s mouthguard during their regular checkups to make sure it still fits properly. It may need to be modified or replaced as your child’s mouth changes through growth or the presence of new teeth. It’s essential that all mouthguards be evaluated annually to ensure ongoing proper fit. Yes. It’s vital to protect your child’s baby (primary) teeth as they play a critical role in how the adult teeth develop. The primary teeth reserve space for the adult teeth and help guide them into their proper position. It’s likely that your child will need a new sports mouthguard every year until they are about 16 to 18 years of age. When will my mouthguard be ready? We use a local lab to custom-make our mouthguards. Typically, they take two weeks. If you have any questions, please contact the practice. So excessive bacteria don’t accumulate on your mouthguard, it’s essential to rinse it in cold soapy water after every use. After drying it, store it in the protective container we will provide you. You should keep it in a cool place as elevated temperatures can cause warping. Never place your mouthguard in the dishwasher to clean it. Contact our practice, and one of our friendly team members will be able to help you. As the impression that we take only can be used one time, it will be necessary to take another impression for the new mouthguard. My child wears braces. Are you still able to provide a custom-fitted mouthguard? Yes; we fit many kids who have braces with mouthguards. 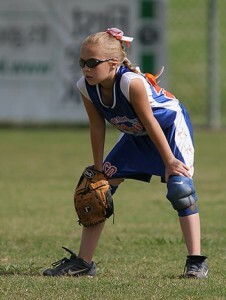 All children who play contact sports need to wear a custom-fitted mouthguard. If you have other questions that weren’t addressed here, please contact Dentist WA Canning Vale today!